Heidi Park DDS (Los Angeles) - Book Appointment Online! 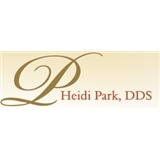 Dr. Heidi Park and our entire team is dedicated to providing you with the personalized, gentle care that you deserve. Part of our commitment to serving our patients includes providing information that helps them to make more informed decisions about their oral health needs. This website is a resource we hope you’ll find both useful and interesting. I really love this team, they all have a lovely energy and take all the fear out of the dentist for me. Also they are very engaged with your comfort and have a real skill at lowering the pain. You can even watch tv with headphones as a distraction if you'd like.